In all of the Cross Device reports, the date picker is limited to 90 days. If you know you need to analyze data older than 90 days, export your reports on a regular basis and save them to compare to future data. 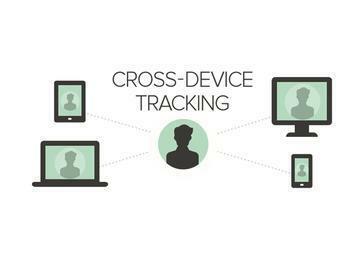 There are three Cross Device reports: Device Overlap, Device Paths, and Acquisition Device. These reports display data collected during sessions in which a User ID is sent to Analytics. These reports are only available in a User ID view. The way revenue is attributed in the Cross Device reports is different than the way it's attributed in any other Analytics report. In a Cross Device report, a transaction needs to start on a device for any revenue data to be included in a report. For example, in the Cross Device report called Acquisition Device, the metric called Revenue from Originating Device only includes revenue from transactions completed on a device if it was the first device used during the selected date range of the report. In other reports, the revenue metrics for a device include all of the transactions completed on that device. There are three device categories that can appear in the Cross Device reports: Mobile, Tablet, and Desktop. Laptops are included in the Desktop category. These categories are automatically defined by Analytics based on signals from specific devices. You can’t change these definitions or reclassify devices into different categories. You can, however, use custom dimensions to create your own device categories. Different web browsers on the same device, including instances of incognito and private browsing, are counted as unique devices in the Cross Device reports. For example, if a user signs in on two different browsers on the same laptop, two unique devices are attributed to that one User ID.